Located at Live Wire Park in Lorne. 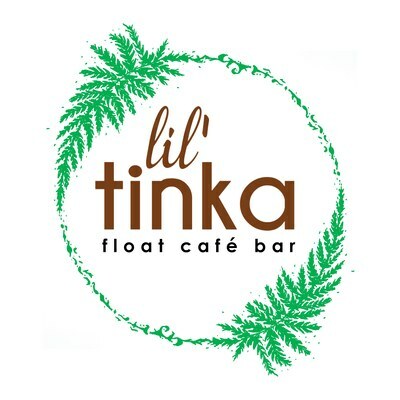 A converted off grid horse float cafe serving local roasted Ocean Grind coffee, teas, hot chocolates, chais, cold drinks, home made snacks, daily specials including wraps, soups, and energy foods. Convientaly located in the Live Wire Park entrance, we are here for you to relax, recharge, warm up or cool down with our drinks and foods..
With morning teas, lunches or afternooon snacks and on request catering. 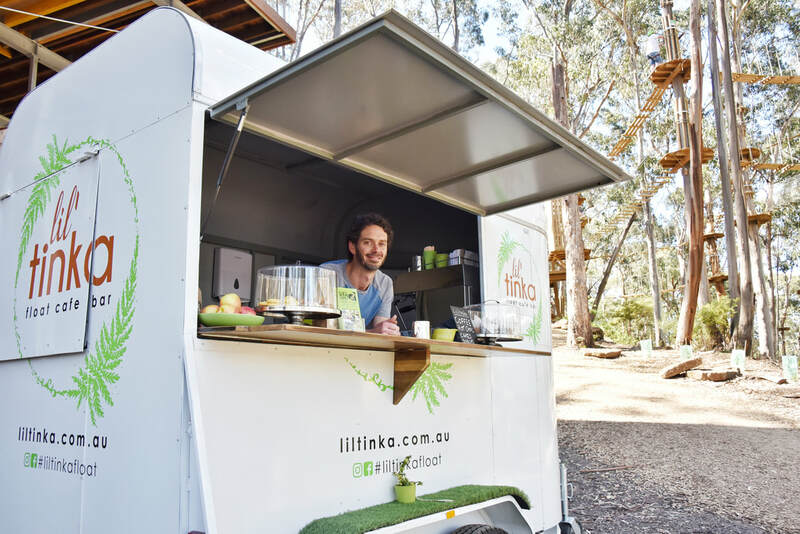 Whether your experiencing the amazing Live Wire Park or driving through to Erskine Falls, drop in and enjoy our food and drinks at Lil Tinka in the amazing Otways in Lorne's backyard. Lil Tinka offers onsite on demand catering for all occasions. 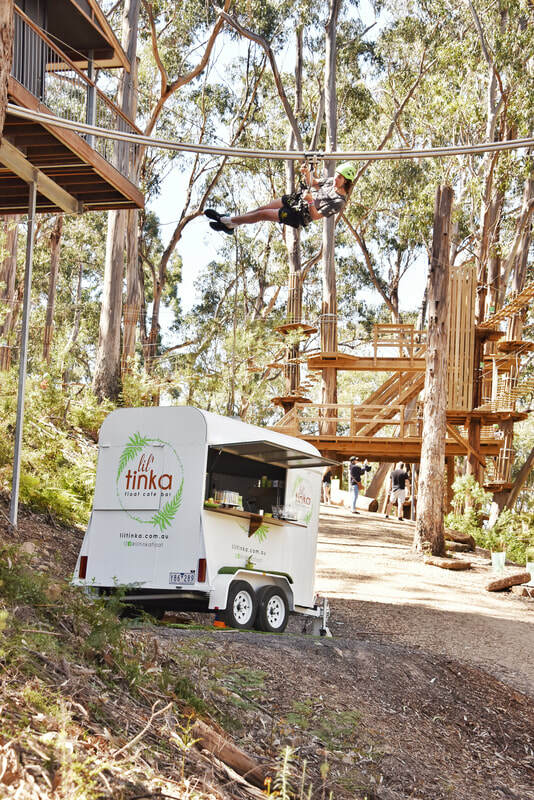 Experience the action at Live Wire Park then have us cater for your group with morning tea, a gourmet lunch or afternoon tea pre booked and ready to go. 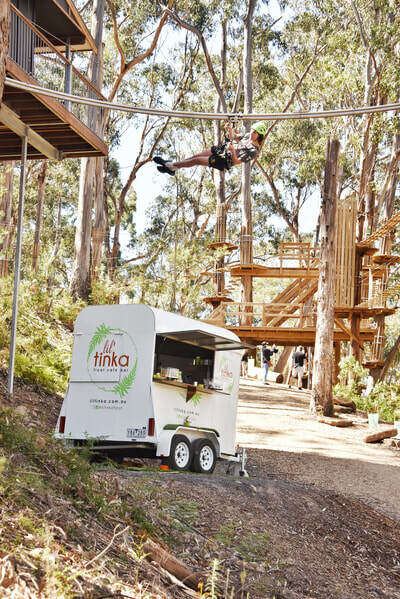 From birthday parties for all ages,school groups, corporate and tour groups we can cater to your requests. From simple coffee and cake, healthy bites, to birthday platters, or gourmet lunches, this can all be pre booked through the inquiry form below. All dietary needs can be catered for. So get ready for the action at Live Wire Park and let us refuel and recharge your appetite with us.